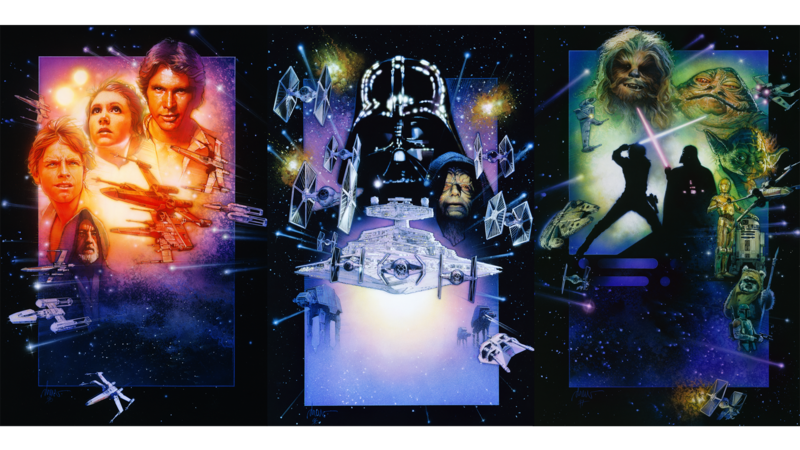 “A long time ago, in a galaxy far, far away…"
It’s been 39 years since audiences first read those words on movie screens. Thirty-nine years since we first learned of the Force, of Jedi, lightsabers, X-wings and the Death Star. But even after all those years, the Force is still strong with us all. 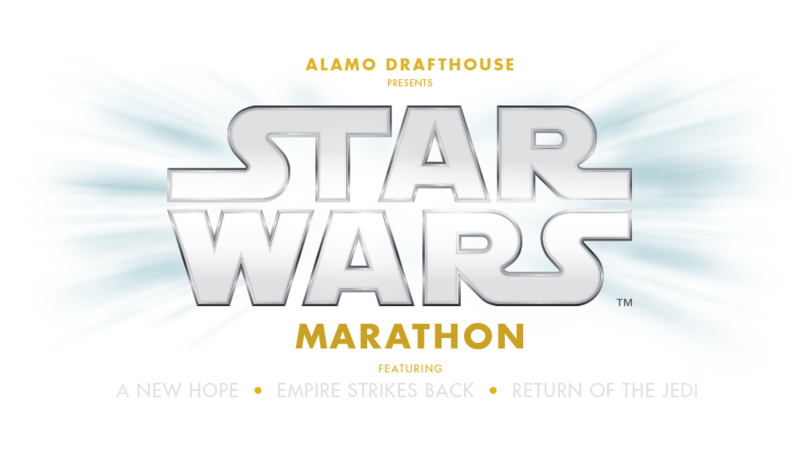 This August, the Alamo Drafthouse will celebrate our love for the movie trilogy that changed so many of our lives for the better, with incredibly rare digital screenings of the special edition versions of A NEW HOPE, THE EMPIRE STRIKES BACK and THE RETURN OF THE JEDI. Will there be any additional cities or screening dates announced? No. These events are the only ones happening in this program. But ROGUE ONE will be in theaters everywhere this December! Different venues may have different age policies, so please check that at the Buy Tickets link above when purchasing your seats. We do ask that no infants or toddlers under three years be brought to these events, though, and that any parents of restless children who may be creating a disturbance in the Force for the audience around them exit the theater while working with their Padawans. Can I bring my weapons? Toy weapons? Sure. Real weapons? Nope. We'll have security checking all cosplayers at the entrance to every venue to inspect lightsabers and blasters and bowcasters before allowing entry. I like to talk and text on be on my phone during movies. Can I do those things at these screenings? No, you can not. The Alamo Drafthouse has a strict no talking policy during screenings, and we will be enforcing that policy to the best of our ability in all of these partner venues. You can cheer and you can clap and you can laugh, but keep your phone in your pocket, save your conversations for in between movies, and don't even think about trying to heckle the screen at any point. If you can't stay quiet for a couple of hours while you're transported to another galaxy, just stay home from now on and stop ruining movies for other people. Will there be food and drinks available for purchase? Can I bring food into the theater? Each venue will have different set ups for concessions. Check out the show page for yours by following the Buy Tickets link above.